Few American religious history topics possess the social gospel's privileged place. A term to be memorized within the American history survey, claiming a seat at the scholar's "good religion" table, its prominence should make it a prime target for scholars to problematize. 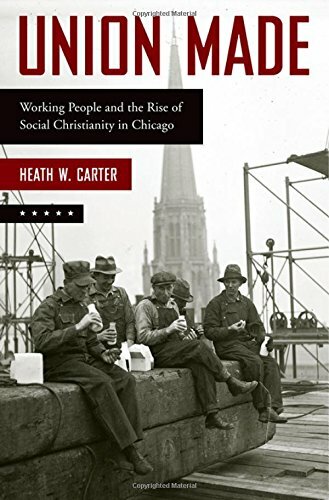 In key ways, however, the basic outline of the social gospel's development remains rooted in the 1940s narrative laid out by Charles Hopkins, Henry May, and others. They expounded the story that still holds sway, of a vanguard of middle-class pastors, professors, and reformers responding from 1880 to 1920 to industrialization and urbanization by calling on America's churches to apply Christian principles of cooperation and compassion to the social and economic order. By 1908, the social gospel had institutional support through the Federal Council of Churches in Christ, and although its postmillennial optimism suffered a setback from the Great War, it nevertheless carried on in seminaries, fashionable pulpits, and various denominational agencies. To be sure, scholars since the 1940s have added an ever-expanding cast of characters to the list of social gospelers, including women, African Americans, agrarians, and businessmen. Some have found precedents in antebellum abolitionism, while others have highlighted the social gospel's connection to popular consumer culture. This diversity has made the term "social Christianity" more tenable for some than "social gospel" to represent the wide panoply of Christian reform responses to industrial capitalism, although the two are quite often used interchangeably.